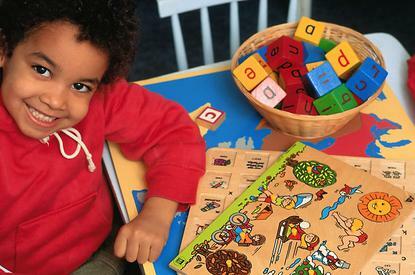 Early Years is open from 6:30am to 6:30pm, Monday through Friday year round. For children ages 2 through 5.
minimum), Monday, Wednesday and Friday. Full day state certified program. For children ages 5 through 10. For children ages 2 through 6. Early Years accepts application from families year round. Students must bring lunch and an afternoon snack. guests during the school year. 2's $170.00 per week (includes potty-training). 3's, 4's, & $165.00 per week. Two Children $280.00 per week. Part-Time $120.00 for 3 days per week. We Have An Open Door Policy. Drop By Any Time.